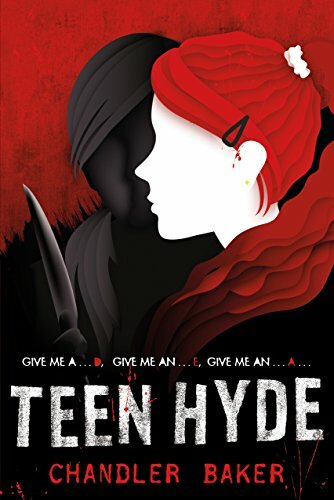 Enjoy your Friday the 13th with a perfect spooky read: Teen Hyde by Chandler Baker! Friday the 13th is always seen as a creepy, haunted day, regardless of what month it happens to fall in. We here at Lytherus have the perfect way for you to add a little creepiness to this Friday the 13th: check out Teen Hyde by Chandler Baker, which hit shelves earlier this week on January 10th, 2017. This book was not only a good teen horror read but was a believable, complex story of real struggles and difficulties, and I couldn’t put it down. Cassidy Hyde is NOT having a good year. Her boyfriend cheated on her, killed her best friend’s date during homecoming, and was then murdered in turn by a serial killer, and that’s without counting the thing that no one knows about. (But Cassidy doesn’t like to think about that.) The point is, anyone would be a little depressed and no one can blame her for looking for a little bit of help. That’s where Sunshine comes in. This new experimental drug makes Cassidy feel like everything is good and she’s the golden girl once again. A little memory loss feels like a small price to pay to get her life back. And the fact that boys are once again going missing (boys who Cassidy does NOT want to remember) has NOTHING to do with anything! Right? Thus begins Chandler Baker’s contemporary twist on Robert Louis Stevenson’s Jekyll and Hyde, set in the town of Hollow Pines, Texas, where high school is truly horrifying. This story reminded me of a horrific accident, in the best way possible. I was seriously disturbed and yet I couldn’t look away. This book was a great read, even more than I anticipated. I knew going in that it was going to play on the Jekyll and Hyde theme, but the way the author wrote it up was awesome. Both parts of Cassidy’s characters were complex and had interesting thoughts and motivations. Also, it’s not only a good horror story, but surprisingly relatable. The main character Cassidy is dealing with some serious issues, issues that too many people can relate to, sadly, and that alone made the story interesting and a page turner. But adding in the element of multiple personalities, and what the other ‘us’ would do, took the book to a definitely creepy level. I don’t want to give too much away, but the issues keep piling on as the story continues, and the momentum speeds up all the way to a well-written end. I’m so glad I read Teen Hyde. What at first seemed like just a teen horror romp actually delves into some really good issues, and the characters are believable and relatable. It was a quick, easy read, and I’d definitely recommend it for someone who likes getting lost in the horrors of both real life and fantasy. You can pick up Teen Hyde on Amazon and Barnes and Noble, and you can follow author Chandler Baker on twitter! Need gift ideas? Here are a bunch of nerdy books that are a perfect fit! The holidays are upon us, and, if you’re anything like us, sometimes shopping for presents can be overwhelming. Luckily our friends at Thunder Bay Press and Canterbury Classics sent over a few awesome ideas for the book fans among us, and we hope you like them as much a we do! We’ve also rounded up a number of our favorite dragon-themed books to diversify our holiday recommendations! Whether you’re buying for a classic fantasy fan or dragon enthusiast, we’re sure you’ll be able to find a gift after perusing our list! We’ve personally enjoyed every product here (and have provided links to accompanying reviews, where available), so take it from us – these are worth snagging! Classic Tales of Science Fiction & Fantasy is the perfect present for fans of classic stories. It’s packed with incredible books like A Princess of Mars, The War of the Worlds, A Journey to the Center of the Earth, and many more. Long before we ventured into outer space or explored the most remote regions of the planet, writers have spun stories of what might lie in those unknown worlds, or what awaits humanity in the future. 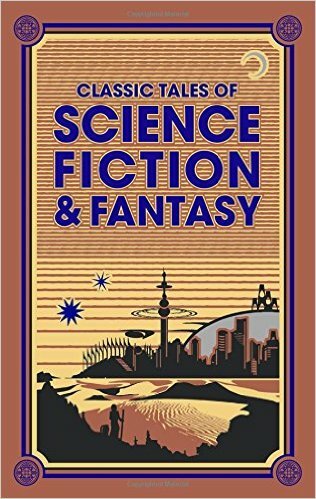 Classic Tales of Science Fiction & Fantasy ($24.99; ISBN: 978-1-62686-801-4; Canterbury Classics) is a collection of ten novels and short stories that blazed the trail for the popular genre, in a handsome leather-bound edition that is perfect for gift-giving. Works by acclaimed authors such as Jules Verne, H. G. Wells, Edgar Rice Burroughs, Sir Arthur Conan Doyle, Jack London, and H. P. Lovecraft will transport the reader to distant places and times—and set the imagination ablaze! Our thoughts: Guys, this book is gorgeous. With gold gilded edges, blue foiled detail on the illustrated leather cover, and awesome illustrations just inside, it definitely entices the reader to peruse. Gorgeous line art begs for color in this compendium of the beasts, monsters, and flora and fauna of Middle-earth. 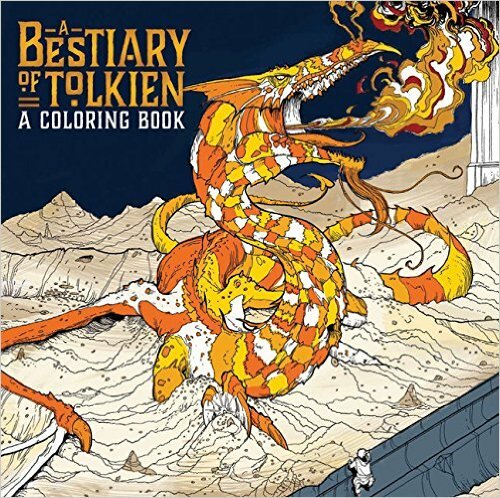 In A Bestiary of Tolkien Coloring ($14.99; ISBN: 978-1-62686-777-2), bring your favorite creatures from the books into sharp detail with your colored pencils or markers. Smaug the dragon, Balrogs, Hobbits, and Elves give you plenty of opportunity for creativity and shading. Turn each of the 90 pages into a precious work of art, in a 10” x 10” format for more coloring area! 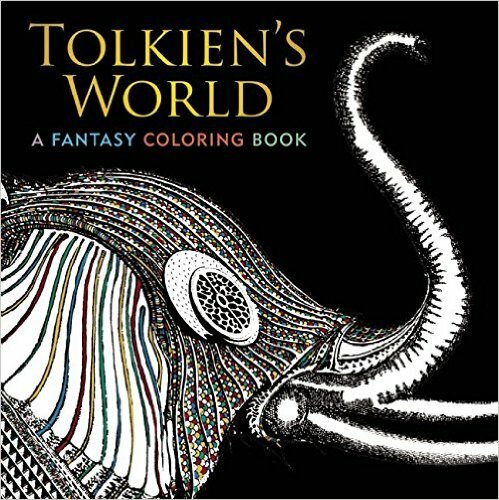 This beautiful coloring book—suitable for Tolkien fans of all ages—presents more than 90 pages of famous scenes from Middle-earth, from the Trees of the Valar to Mount Doom; and characters as beloved as Gandalf the wizard, or as feared as Smaug the dragon. Line art illustrating the fantastical world of Middle-earth is readyfor your colorful imagination! Includes scenes and characters from The Silmarillion, The Hobbit, and The Lord of the Rings. Our thoughts: These coloring books are so incredibly cool, and they’re pretty too, with gold foil detail on the illustrated covers. They cover the entire Tolkien universe, and I honestly don’t know which one I like more, the one with just creatures or the one that also shows locations. Either book would be a great addition to the personal collection of any Tolkien fan. Not sure about you, but we’re always looking for more dragon-related books to read while we wait (im)patiently for Book 5! We’ve included a few of great dragon-y books, and included a few of our favorite fantasy novels (which may or may not feature dragons) for you to buy for yourself or for a friend! Do you believe in dragons? Now, for the first time, the long-lost research of renowned nineteenth century dragonologist Dr. Ernest Drake is presented in all its eccentric glory, happily bridging the gap between dragon legend and fact. The meticulous Dr. Drake assigns Latin names to various dragon species, ruminates on why dragons are able to speak, speculates on how they could fly, and explains the true purpose of their notorious hoarding habits. 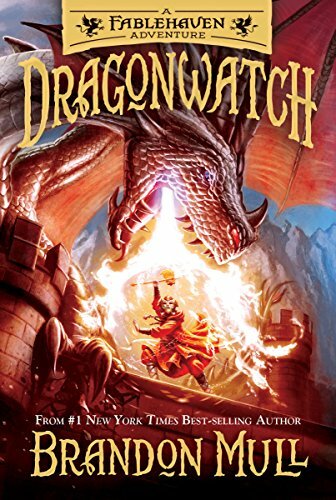 With a lonely boy named Ben on board, the brave young dragon Firedrake sets out on a magical journey to find the mythical place where silver dragons can live in peace forever. Flying over moonlit lands and sparkling seas, they encounter fantastic creatures, summon up surprising courage–and cross the path of a ruthless villain with an ancient grudge who’s determined to end their quest. Only a secret destiny can save the dragons in this enchanting adventure about the true meaning home. Since childhood, Sabriel has lived outside the walls of the Old Kingdom, away from the power of Free Magic, and away from the Dead who refuse to stay dead. But now her father, the Abhorson, is missing, and Sabriel must cross into that world to find him. With Mogget, whose feline form hides a powerful, perhaps malevolent spirit, and Touchstone, a young Charter Mage, Sabriel travels deep into the Old Kingdom. There she confronts an evil that threatens much more than her life and comes face-to-face with her own hidden destiny. . . But everything changes when she meets a queen dragon. The bond they share will be deep and last forever. 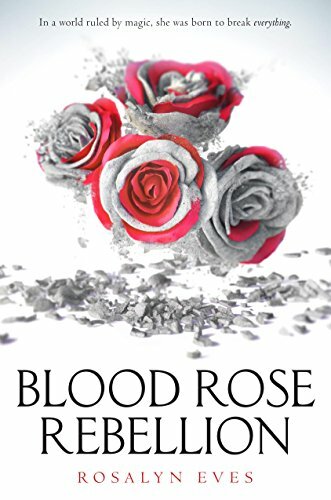 It will protect them when, for the first time in centuries, Lessa’s world is threatened by Thread, an evil substance that falls like rain and destroys everything it touches. Dragons and their Riders once protected the planet from Thread, but there are very few of them left these days. Now brave Lessa must risk her life, and the life of her beloved dragon, to save her beautiful world. . .
Big thanks to Thunder Bay Press and Canterbury Classics who provided copies of the first three books! Stay in the Halloween spirit with these three books! November is upon us, and it’s time to put away those skull decorations and vulture wall hangings for another year. But if you’re having a hard time letting the Halloween season go, we’re here to offer some help! Here are three amazing books, covering all ages, that can help keep the spooky spirit of magic alive for a little longer. Snuggle up with a blanket, and don’t forget to leave a light on! When twelve-year-old Prince Lev Lvov goes to live with his aunt at Falcon House, he takes his rightful place as heir to the Lvov family estate. Prince Lev dreams of becoming a hero of Russia like his great ancestors. But he’ll discover that dark secrets haunt this house. Prince Lev is the only one who can set them free-will he be the hero his family needs? My thoughts: Great story with a spooky vibe and fun ghost element. There is a lot of creepiness mixed into the descriptions of Falcon House which really brings it to life like another character. And the illustrations are just eerie enough to add an extra scare factor in. I think The Haunting of Falcon House is perfect for the 8-12 age range, but that older readers would also enjoy it (I did!). What makes it even cooler though is the fact that the story is based off of part of a book the author found when he was a kid, a sketchbook of a young Prince Lev, and those original sketches are the ones incorporated into the story. This brings a ring of truth into a fiction story that I really think readers will just eat up. If ghosts are your thing, don’t miss this one! 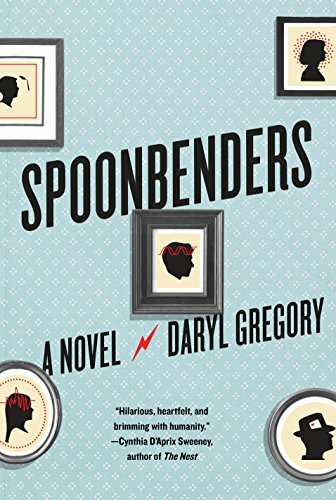 My thoughts: This book is one of my favorite reads of the year. 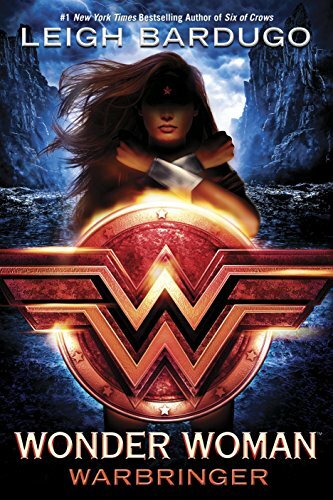 I really enjoyed the characters a lot, especially Alex and Nova, I could connect with them and relate, even in a magical setting. Alex has to deal with not only finding herself like any teen, but the consequences of some seriously disastrous actions. I loved the Bruja magic, the rituals were so awesome, and it felt like a new and fresh breath of magical story in a pretty saturated market. I also really enjoyed all the things that happened in Los Lagos. It is a deliciously creepy place, and all the different things the main characters encountered made for a great adventure. If you’re wanting some witchy magic to last into November, this is definitely a book to check out! My thoughts: Guys, this book scared the crap out of me, no joke. All of it was creepy as hell and well written, but some of the scenes in the middle of the book, where the reader is not sure what exactly is happening, they definitely reminded me why I don’t often read horror. The fact that I was staying in a friend’s dark basement at the time of reading probably didn’t help matters either. Seriously though, this book was great, and I’m so glad I stepped out of my comfort zone and checked it out. Complex story, interesting characters that you quickly become invested in, and of course a delightfully scary witch. If you want to continue on with the ghoulish vibes of October, definitely check this book out, you won’t be disappointed. 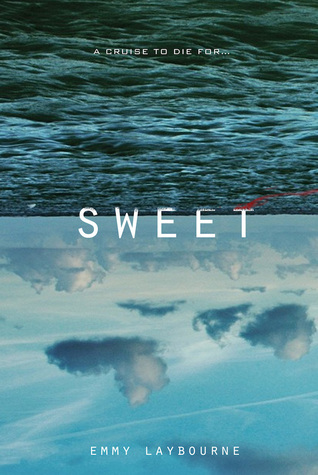 Lytherus book club: Amazing interview with Emmy Laybourne, author of SWEET! Hey everyone! Due to schedule conflicts this interview happened later than initially planned, but once we sat down with Emmy Laybourne we quickly knew it was well worth the wait! She’s a lovely person, and the interview is interesting, funny, and full of heart. We talk about the ideas behind SWEET and Emmy’s personal struggles with sugar addiction which led to the idea for the book. In addition to delving into the characters and writing habits Emmy teased us with a nicely detailed description of the novel series she’s currently working on. It sounds amazing and we can’t wait! 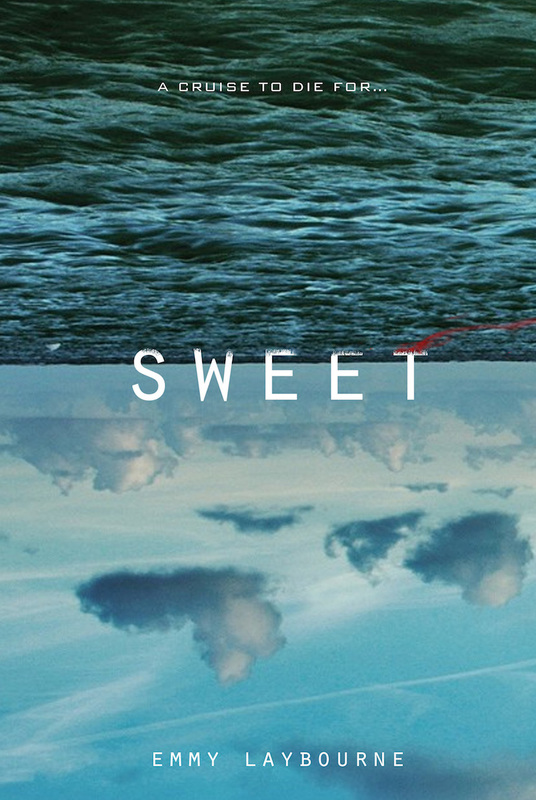 To celebrate this interview we’re giving away a copy of SWEET to one lucky winner. The giveaway runs from now until 11:59 EST on Tuesday September 15th. Don’t miss your chance to enter- the form is underneath the interview below. US residents only! Like a lot of the books I’ve done this year for the book club, this story is told from the point of view of a guy and a girl, Laurel and Tom. Tom is a child star turned interviewer in his late teens, on the ship to cover the events of the revealing of the amazing Solu diet powder. Laurel is the bestie of rich gal Viv who invites Laurel to join her on this amazing cruise. From the start, I could see what was coming (in the best way possible) Laurel doesn’t try the Solu, and her bestie Viv takes her shares. Tom doesn’t try Solu, as he’s all about getting fit the healthy way. Everyone else on the ship pretty much is head-over-heels in love with this product and what it’s doing to them. The two protagonists meet at the start, when Laurel pukes on Tom’s shoes during an interview on day 1 thanks to motion sickness, though he noticed how pretty she is right before that happened. And then that night at the club Tom accidentally crashes into Laurel. And then kisses her straight after (for publicity, even though he didn’t really mind). During their next encounter Laurel reams him a new one about it. And so they go, back and forth, for their first few encounters]. And all the while, all the people around them are happily ingesting Solu and losing weight and feeling excited about the results. Slowly they become more friendly, with Tom making an effort to get to know her and Laurel trying to be herself in the face of a hot celebrity. And during this we start to see a shift in those around Laurel and Tom. Viv is more irritable. Rude. Just generally off. Tom’s manager is more brusque than usual. People start getting a bit aggressive involving Solu, wanting more. Laurel notices Viv craving the snacks and describing Solu like an addict. And everyone seems to be partying harder too. And then Viv starts to look sickly, hollow and ragged. She passes out. Tom carries her to their room, where they tuck her into bed and Laurel and Tom end up kissing. That’s where we leave off today, but let me tell you, there was no way I was going to stop reading right there! Emmy has created some fantastic voices with these two main characters.I love Laurel. She’s a practical, level-headed gal who can totally hold her own. And Tom, I love his self-awareness, being famous but not really loving all it brings. They feel relatable and their reactions felt very realistic. It’s pretty great. I also love the plot she’s set up. I can see generally what’s coming, and I anticipate it with glee. I cannot wait to see how she plays out the story within the confines she’s created. They’re isolated from communication for a few days (Tom’s forced to pre-record a bunch of stuff at one point) so no one outside of the ship is going to know what’s happening. And something’s definitely going to be happening! Stay tuned soon for part 2! We’re also lucky enough to have an awesome guest post from Emmy which I’ll be posting in the near future. Don’t miss it. And don’t forget to post any questions you might have for the author in the comments or on our social media feeds! For our June book selection we’re changing things up a bit and are tackling a horror book! SWEET is the new book from Emmy Laybourne, author of the MONUMENT 14 series, and it is seriously creepy. Horror isn’t usually my thing, but I read this book in one sitting, it was so good! In order to launch a new diet sweetener called Solu, the drug’s manufacturers have decided to host a week-long juggernaut on a luxury cruise ship. Tom and Laurel, two teens who for very different reasons decide not to take Solu, watch as the people around them are overjoyed at first – the product works! They’re losing weight! But the drug is highly addictive, and when the people in charge try to ration out the Solu, Tom and Laurel watch in growing horror as the passengers go from miffed, to mutinous, to murderous. Will Tom and Laurel make it off the ship alive? And how will they warn the main-land about Solu’s deadly side effects? We will be dissecting this book into two different posts throughout the month, tackling the first and second halves. We’re also excited to feature an exclusive interview with Emmy at the end of the month, along with a giveaway of SWEET. Stay tuned for more posts, and be sure to read this amazing book along with us! Exclusive interview and giveaway with author Rachel Hartman (author of SERAPHINA and SHADOW SCALE)!! We were so excited to finally be able to sit down with Rachel Hartman for our Lytherus Book Club interview! Her books, SERAPHINA and SHADOW SCALE, were the Lytherus books of April, and they’re some of our favorites yet. In this interview we really dig into the depths of the story that she wrote. We talk about the characters, the different directions she takes them, themes like prejudice and racism, magic, and all sorts of other wonderful things. The video interview is below! We also wanted to share two other links with you. The first is from our first ever interview with Rachel, from SDCC 2012, where I had the pleasure of interviewing both her and Christopher Paolini together about dragons! Keeping with that theme I also want to share a recent interview Christopher did with Rachel a few weeks ago. They talk about a lot of really interesting things, things that are really different than what we covered, things like depression and writing. We are also giving away a copy of SHADOW SCALE to one lucky winner! Be sure to enter below for your chance to win. (US only, sorry!) The giveaway runs until June 10th, 11:59 EST. We’re deep in the middle of SHADOW SCALE, the sequel to SERAPHINA by Rachel Hartman. And wow, the second half of this book … it’s fantastic. I absolutely loved the path the story took. Let’s dive right in, but not before I remind you to comment below with any questions you might have for the lovely author, as we have an exclusive interview looming on the horizon! Seraphina takes the little book to Ingar to translate, to distract his mind. Camba and Ingar weren’t home, and as she leaves she spots a half-dragon with wings above. Seraphina tries to talk to her but she just flies away. Over the next few weeks she tries repeatedly to see Cambra but is met with excuse after excuse and never gets in. She heads to the part of the city that housed dragon exiles to look for her uncle and Eskar, his dragon guardian and girlfriend. She talks to a dragon and he confirms that Eskar has been there, but she’s been gone for two weeks without word. And he knows Orma but hasn’t seen him. Abdo is in bad shape. Pende can’t unhook Jannoula while Abdo fights with her, so they’re forced to wait the battle out. Abdo is in a half-state. She sets off to find the other half-dragons. They all avoid her or are unreachable. After she steps in the path of one she learns that the priest won’t let them talk to her, he worries she’ll take them away. They can’t disobey, but she’s looking for a loophole. She finally is invited into Camba’s. All the local half-dragons are there, excited to talk to Seraphina. She learns about how Pende took all of them under his wing and helped them. But they all have disappointed him in some way, leaving the temple and his god for other paths (except Camba). There’s a familiarity between them that Seraphina has dreamed of for her kind. Ingar also reveals that the book she gave him is the only known testament of the heretic saint. Ingar promised to write up a translation for her to read. Glisselda told her that Kiggs and Comonot were traveling to her, with the plan to have the dragon leader head into the mountains to the dragon capital, where dragon politics required he be listened to. Kiggs was to take her home with the other half-dragons. Kiggs revealed that he came with Comonot to see Seraphina, which has him feeling guilty about keeping it from Glisselda. 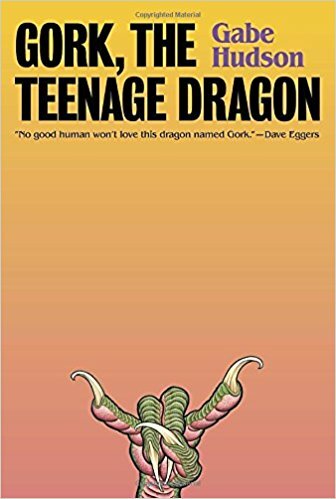 She’s summoned to a meeting of dragons, where we meet a teenage dragon who is determined to identify with the country she’s in, not the dragon one. Eska also shows up, and encourages them to take over a censor lab up the valley on the way to the dragon capital, to help them hide, etc. She also reveals that Orma is there. the next day a ship is pursued into the harbor. It’s filled with the knights who were training to fight dragons, escaping their island home that was attacked by Josef. They’re forced to leave the following day to head for Glisselda’s kingdom, and Kiggs goes with them. Seraphina decides to go with the dragons up into the mountains to try and save her uncle. Before they leave Seraphina takes Abdo to Pende to get Jennoula unhooked. But as Pende tries to remove her she tricks them all and not only stays hooked in Abdo but manages to hook into the old priest too. On her way home she passes a gathering where the teen dragon and her friends reveal that some of the dragons are leaving, and that there are enemy ships in the harbor that they can help with. They turn into dragons and, working together, burn down the enemy fleet. They are subsequently banished for essentially starting a war. The dragons and Seraphina leave, heading up into the mountains. When they get to the censor lab a group of four head in, Eskar and Seraphina being two of them. Eskar tells Seraphina that she was mated to Orma. They sneak in through the sewers, where they run into quigs (the smaller dragons). The leader says he’s been waiting for them and that everything is in place. Eskar tells them they have two days to get all the sabotage finished and that Seraphina and the teen dragon (Brisi) will help them. Once inside she asks a quig to help her locate Orma. He takes her to a computer room, and though there’s a file on him they can’t seem to locate him in the lab. In conversation he says in passing that there was a half-human trapped here, that the censors raised it from a baby and did experiments on it. He says that she wasn’t released, but that the war dragons used her because she became amazing at strategy. He reveals that she’s actually the famous General Laedi, a brutal war general. This also revealed that she was working for the enemy dragons. The battle happens. While the dragons are fighting a quig takes Seraphina to question a doctor dragon about Orma. He has a message for her from Jannoula, that her uncle was sent to her, at Seraphina’s home, and that she was done playing. She follows Comonot and Eskar to the archives where they talk to the old archivist about Jannoula. She’s been manipulating all sides for a while, encouraging the old thinking dragons to challenge the peace. She even knew about Imlann, hidden as a spy. The archivist reveals something called the Great Mistake. 700 years prior dragons experimented, breeding with humans. As Orma suspected, these had to be the saints. They were meant to be an army against humans, but they sided with the humans and created the martial art that kills dragons instead. After this failure dragons created the censors to not only eliminate the memories of this but to also make sure something like it never happened again. The five teen dragons fly Seraphina back to her home. On the way they encounter a hostile dragon and work as a team to take him down, something dragons usually don’t do. She lands in a field with the knights. Kiggs is there, and she says she wants to talk to the queen. He informs her that Jannoula got there before he got back and he’s not allowed in the city. Lars snuck her in. And worse, she’s declared herself a saint and the people are buying it. 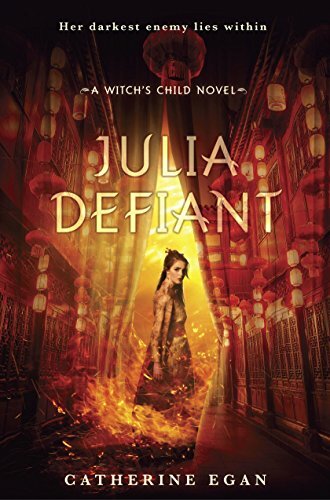 They decide to sneak Seraphina into the castle to befriend Jannoula and see if she can free the queen from her influence. She hops into Neduard’s mind that night, and he reveals that she’s gotten him too. And that all the foreign ones are there except Abdo. She checks in on most of them and confirms this. Abdo is in the woods outside the city. Everyone else seems trapped by Jannoula’s mind except Camba. Seraphina and Kiggs sneak in that night. They try to get to the queen but Seraphina can’t bluff her way in. So they wait in a room off the council chambers till the following day’s meeting. They share a passionate kiss. In the meeting the next day Seraphina reveals herself and also that Jannoula is the famous General Laedi. Everyone buys her explanation, that it was all to get her to Seraphina, everything she’s done, to unite all the “saints”. She settles in with the other half-dragons, biding her time while she tried to figure out what was going on. She witnessed the others making a net out of the mind-fire and how everyone fell to their knees when they saw it. Jannoula had also preched about Seraphina to the masses, calling her the counter-saint (which back in the day was the dude who challenged the power-greedy saint leader and was subsequently buried alive). Phina confers with Kiggs and it seems like he’s getting swayed too. He says that the net will help stop dragons and protect the city and that the country was more important and that getting rid of Jannoula could wait. He gets caught following her one night, seems swayed by Jannoula’s charm, and is integrated back into castle life like it was nothing. Seraphina is given the translation from the book that was passed to Ingar while he was recovering. It’s the testament of the heretic saint. Her lover was the original anti-saint, Pandowdy. Her brother was Abastar, the saint who craved power and had him buried alive and others killed who disagreed with his doctrine. There’s also mention of Pandowdy defeating Abastar during a casting of the net by reflecting it back on him. Seraphina decides to attempt this with the few half-dragons she can seem to trust the next time they all cast it. If Jannoula is knocked out Camba can unhook the others from her mind. But, before it happens, Jannoula takes her to breakfast with Kiggs and Glisselda, where she states that someone is in love with Seraphina, making Selda flee from the room looking sick, Kiggs following. Jannoula takes Seraphina to the roof with them, which makes Phina suspicious, but not until she throws the powers into Neduard and Ingar does she learn that Jannoula was spying in Neduard’s head without him even knowing about it. She reveals all the parts of the upcoming war to Seraphina, how she’s basically manipulated all the sides to her end, which she wants to be a bloody one where they all destroy each other. Seraphina’s locked away in a tower, away from the fighting. The net is bringing down all dragons, good and bad, and there’s a battle on the back side that the humans are up against. Then, to make things worse, Orma shows up to visit her … and has no idea who she is. His memories have been erased. Seraphina is devastated by this. That night the queen’s personal guard frees Seraphina and leads her to the queen, who helps her escape. Before she does Glisselda kisses Seraphina, and we learn that the queen is in love with her. She heads off to the shrine Abdo was hiding in, but he’s not there. She reads an inscription and realizes it’s about the anti-saint Pandowdy, and she wonders if he was buried nearby. It makes her think of the one half-dragon she’d had in her mind that she’d never met, also named Pandowdy, and wondered crazily if they could be the same. She sets off to find him. And does. They talk. She asks him to help. He says he has but she hasn’t noticed. He won’t come and be the monster for her, or the peace maker, he says. She leaves, frustrated. She opens a present from her friends, a mirror, and it gives her the idea to try and reflect the light back on Jannoula. Her plan requires her to run in between the fighting armies and wave a flag of peace, like a lunatic. As she talked to representatives of all sides Jannoula appears on the tower and captivates all of them with her mind fire. Seraphina, thinking over everything, decides to break down the door in her garden to where she had put Jannoula, and steps through. It frees her mind fire. Suddenly she’s huge and can see it all, all the filaments that connect to Jannoula. She tries to fight, but weakens. But then Abdo joins his mind fire to hers. She then summons Pandowdy, who rises from the swamp. He takes Jannoula and severs all her ties. That’s pretty much the end of the book. I know I basically did a summary, but so much stuff happened, and all of it was important! There were a few other important things that happen, including the epilogue, where she’s hanging out with Orma and he starts to want to figure things out. That gives me hope for his future. The thing I liked about this book is that Seraphina’s path wasn’t predictable to me. I mean, yes, I knew she was going to try and find the other half-dragons, etc., but the way it pans out wasn’t at all what I expected. Things were not easy for our heroine for most of this book, but the way things happened had a fresh feel to me. And Jannoula, wow. She’s a really great villain. The end, where we really learn that it’s all been about payback for what happened, was really heart-wrenching (especially the stuff that happens with Orma). But at the end of the day she’s just a sad, broken person. I’m really glad things work out for Seraphina and Kiggs, though I’m a bit sad about Glisselda not getting what she wants. But, then again, the end of the book is written rather ambiguously on this subject, and though we know for sure that Seraphina and Kiggs end up together, and that Glisselda and Kiggs get married but plan to keep it a friendship, we don’t actually know what happens with the two girls. What is clear is how close the three of them are, almost like a solid unit, and that’s enough. This series was always meant to be two books, from my understanding, so this is probably the last we’ll see of these guys. I will admit that this makes me sad, because they are such wonderfully complex characters set in a rich world, but there’s so much wonderful stuff in the books that I’ll be able to return to them and enjoy them time and again. So, I’m really curious. 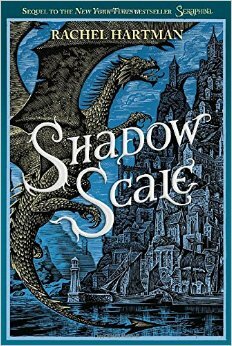 For those of you who have read SHADOW SCALE, did you enjoy it? Was it what you expected? Anything you want to know from the author? Be sure to post your questions in the comments today, I’m interviewing her tomorrow! This long-awaited sequel to SERAPHINA was something I was excited to read. And it didn’t let me down. These books together tell a wonderful story, and I really enjoyed the direction the second book went. So, today let’s dive into the first half of SHADOW SCALE and see what goodies Rachel Hartman had in store for us! First up, here’s the blurb of SHADOW SCALE. If you haven’t read SERAPHINA there will be some mild spoilers, be warned! SERAPHINA leaves off with a dragon civil war brewing between those that want peace with humans and those who don’t. We also see our main character, Seraphina, planning on setting off into the world to try and find the other half-dragons like herself. There’s also the hidden love between her and the Prince Kiggs. Three months have passed since the end of book 1. Eskar, a warrior dragon, returns to the kingdom with news of uncle Orma, who is in hiding from the censors who want to clear the emotion out of his brain. In a letter to Seraphina he mentions discovering something about half-dragons being able to blend their minds together into a web of sorts. Discussing the net with the others, Abdo reveals that he can see their energy (he calls it soul-light), and speculates that this must be what is combined to make the net. Also, all of them have strands connected to Seraphina. She, however, seems to be missing her soul-light. They try to weave the soul-light net and succeed, so Seraphina sets out to find the others, with Abdo in tow. Lots of journeying happens next. First stop is Dame Okra’s area, and they find Neduard, a plague doctor with a good soul and a finch beak. He agrees to join their cause.Next they come across the hermit gal, Blanche, who tentatively agrees, with convincing from Abdo. Then off to find the painter, Od Fredricka, who vehemently refuses. They head off to a nearby mountain to find a giant half-dragon, Gianni Pato. Everyone’s scared of him as he comes into town, and then, to make things worse for himself, he kills an assassin priest who followed the group after visiting Od Fredricka. But not before the priest throws a knife, which severs the tendons in Abdo’s hand. Also disturbing, he calls out Seraphina’s name, which he shouldn’t know. Seraphina realizes it’s Jannoula, and reflects on her story. Jannoula is a half-dragon with a terrible real life, so when Seraphina was younger she used to offer her a peaceful place to escape in her mind. But slowly Jannoula took over her mind without Seraphina realizing, becoming her, and eventually Seraphina locked her away into a dark stone cabin in her mind where she couldn’t come out. That had been years ago, and she’s still scared of Jannoula’s powers, especially now that she’s back. She seems to leave the giant for the time though. They get back to Dame Okra’s, and as they tried to take Gianni Pato into the city he roars, and Josquin, their friend and guide on the first part of the journey, falls off his horse and breaks his back, becoming paralyzed. Seraphina realizes Jannoula is back. The next day, talking to Dame Okra, Seraphina realizes with horror that Jannoula is in her mind now too. She’s controlling Dame Okra, saying that they have the same goal, to bring the half-dragons together, but Seraphina doesn’t trust her a bit. To confirm it, Od Fredricka shows up, saying she wants to join them now. Jannoula got to her too and changed her mind. Seraphina is appalled and scared. She warns Glisselda and Kiggs about Jannoula and all she’s up to. Before they set out to find more half-dragons Seraphina gets a letter from Orma. He sends a pearl ring along with it, saying it’s important, but not explaining. He also says he has things to tell her when he sees her. Abdo reveals in passing the next day that Jannoula visits the minds of the half-dragons where he’s from, but the head priest half-dragon can unhook her from their minds. Abdo says he knows how to do it too. He tries to unhook Dame Okra, but not only fails but has to battle Jannoula in his mind. He says he’s free of her. 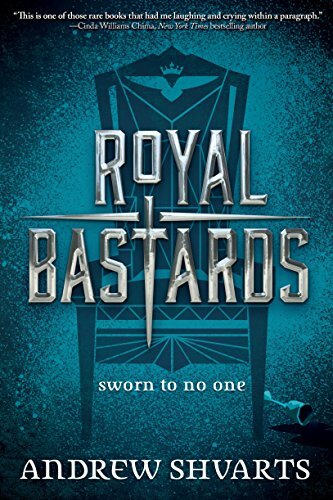 They head to a city in the next country, where all the Earls are scheduled to report on a certain day, and Seraphina hopes to find one of the half-dragons among them. On the way Abdo grows more and more listless. That night Abdo was taken over by Jannoula while he slept. She let him believe he was free of her, but she hooked him too. He continues to fight her, though it’s taking its toll on him. The group heads to the capital (on a dubious lead from Jannoula), and upon arrival notice that an army has camped around the city. Alarmed, they head for the leader and discover that it’s Josef, the thought-to-be villain in book 1. He’s marched his army right in and taken over as king. And worse, Jannoula is his right hand man, so to speak.He had cancelled the earl meeting so that no one could vote against him. And he’s not sharing the info with Glisselda. Jannoula has him in awe. She projects her soul-light out for people to see and they think she’s a living saint. She’s also hooked another half-dragon, Ingar. She convinces Josef to let them continue on, but not before he takes away the devices that allow Seraphina to to communicate with home, and she sends Ingar with them (“to help” she says, but really to keep an eye on things, since he’s fully hooked). On the trip Ingar reveals that Lars is also hooked. She contacts Lars to warn Glisselda and Kiggs about Josef as the new leader before Jannoula can figure out what she can do. Once on land Abdo takes them to his home, where he doesn’t get out of bed. Seraphina gets another device to communicate with home and passes on all the news she’s learned about Jannoula. To discract Ingar while she sets off to find the half-dragons in the city Seraphina takes him to the library. While there she discovers a book of her uncle’s, with notes inside about his research on human-dragon breeding. He speculates that the saints everyone worshipped were, in fact, half-dragons. She also finds an old book he mentions, though it’s in a language she doesn’t understand. She takes it. As she’s leaving she’s confronted by half-dragon Cambra, who works for the priest half-dragon, Pende. She takes them both to him. Ingar fights, as Pende is known to be able to unhook Jannoula from minds, but Cambra captures him anyway. The priest looks into Seraphina’s mind to prove she’s not with Jannoula, and he tells her that she used to have power but she’s locked it up. They can’t even see her soul-light at all. She sets free the little bit of Pende she has from her mind as his request. He then frees Ingar from Jannoula, which throws him into a state of shock. It’s really hard to sum up Rachel’s books, because there’s just so much that happens! All of it is relevant, and interesting, and propels the story forward. This book is all about the half-dragons and what it means to find them and bring them together. It’s also become clear that, even though there’s a dragon civil war brewing, Jannoula is the villain of the story. She says she has the same goals as Seraphina, and yet she’s terrifying with her ability to take over people’s minds and control them. At this point she seems like an unstoppable force. She won’t get Seraphina as long as she’s blocked off, but slowly she’s taking hold of all the other half-dragons around her. Most of these 275 pages or so have been a journey, a slow burn building up characters and situations that pull from bits of the first book, but mainly add to the richness of the knowledge we already have of this world and its characters. Stay tuned, for we’ll cover the second half of the book this week as well, and I can’t wait to see where the story takes us. There are a lot of loose ends at the moment, and things are feeling pretty hopeless. This should be good! Don’t forget, I’m interviewing Rachel sometime in the next week or so, so get your questions in!! Feel free to post them in the comments below. We really want to hear what you have to say about these books and characters!